The battle for customer loyalty in the airline industry is higher than ever before. With the rise of online travel agencies and digital booking platforms, customers can compare prices and cancel a booking the moment they find a cheaper alternative. However, research shows 8 in 10 consumers are willing to spend more for a better experience.And for many customers, that better experience starts and ends with the contact center. From phone calls, emails, chats and texts, the interactions guests have with contact center agents is critical to increasing their customer experience and loyalty. Even better, with so much voice of the customer data streaming into the contact center, airline executives can study and examine it to pinpoint areas to improve customer satisfaction, upsell to VIP customers, and win the ratings game. 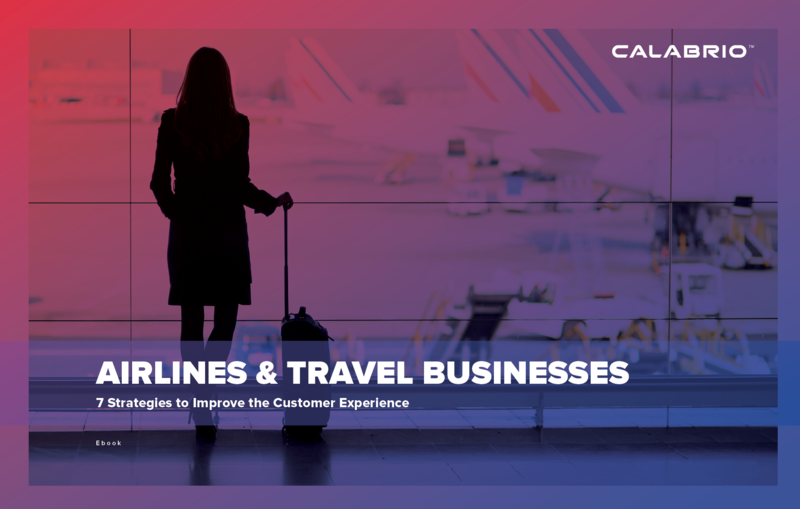 Download our ebook to learn seven strategies airlines should use to improve the customer experience.